The Saskatoon Police Service is actively recruiting new members who will reflect the rich diversity of our community. Twice a year, Swearing In ceremonies are held to welcome in the men and women who have chosen an exciting career in law enforcement and will wear the badge of the Saskatoon Police Service with pride. 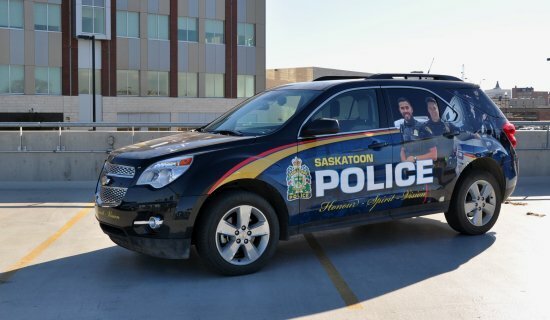 The Saskatoon Police Service offers an exciting career, excellent benefits, and a competitive salary. Great care is taken to ensure the right people are selected to become police officers. Once selected, you will receive training as a recruit and participate in a 42 week training program designed to give you the skills you need to succeed. The first 20 weeks involve classroom instruction in areas including criminal law, officer safety, self-defence, report writing and cross-cultural training. The next 24 weeks are dedicated to field training under the guidance of one or more experienced officers. The final weeks of instruction will consolidate your academic and field training and prepare you to serve as a sworn member of the Saskatoon Police Service. Your career will be one of diversity, as you will have the opportunity to compete for specialized positions in Identification, Canine, Traffic, Major Crime, the Emergency Response Team, the Explosive Disposal Unit, and many others. As a member you will be granted a level of authority, responsibility and community status unsurpassed by most other occupations.